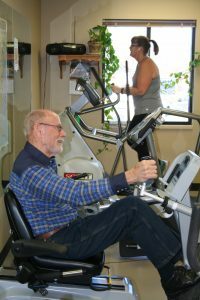 The Rawlins County Health Center Cardiac Wellness Program offers a supervised and progressive exercise plan scheduled for hour long sessions. A small monthly fee of $35 (M, W, F) or $25 (T, Th) gets you a fitness program that meets your health goal needs. Cardiac Wellness does require a Providers referral. Contact Connie McCain at 785-626-3211 ext. 280 to schedule a visit. What is the Rawlins County Health Center Cardiac Wellness Program? 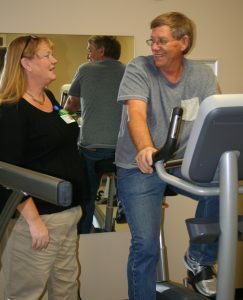 Join the community and camaraderie at the Rawlins County Health Center Cardiac Wellness Program!